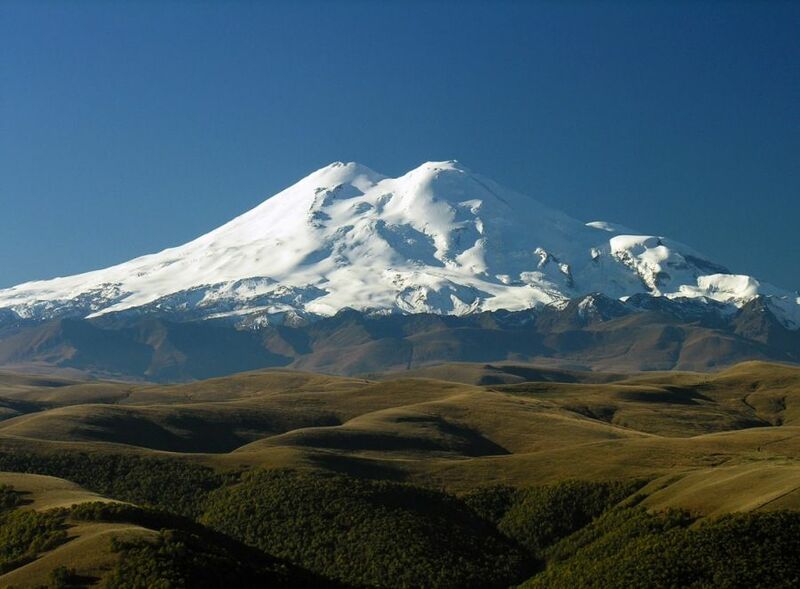 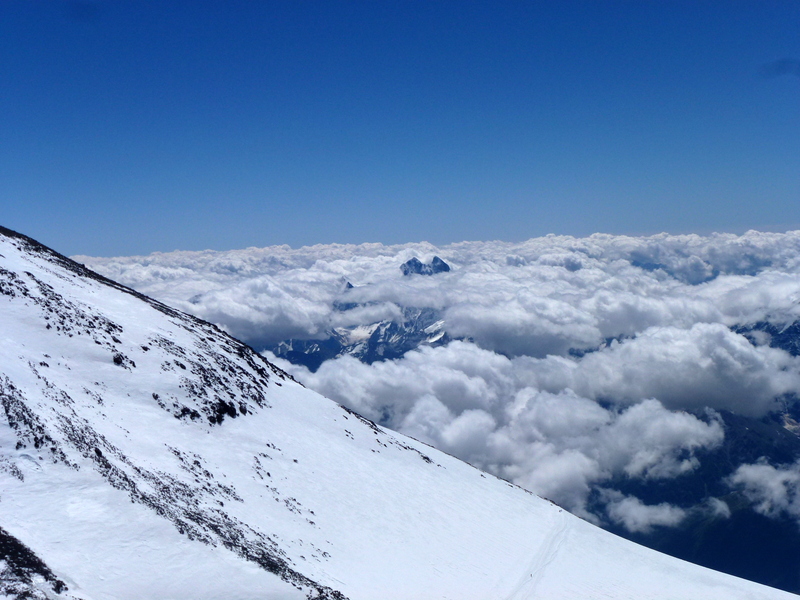 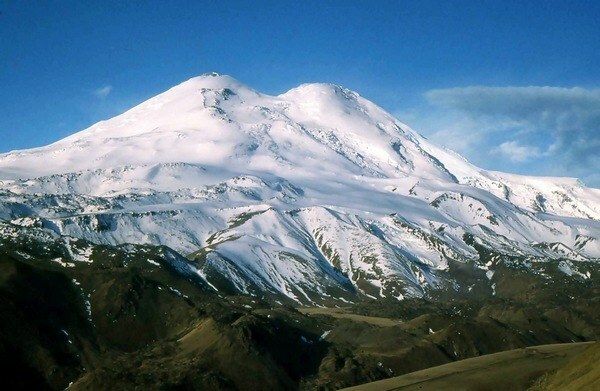 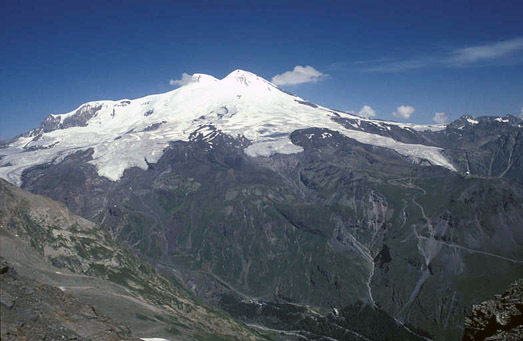 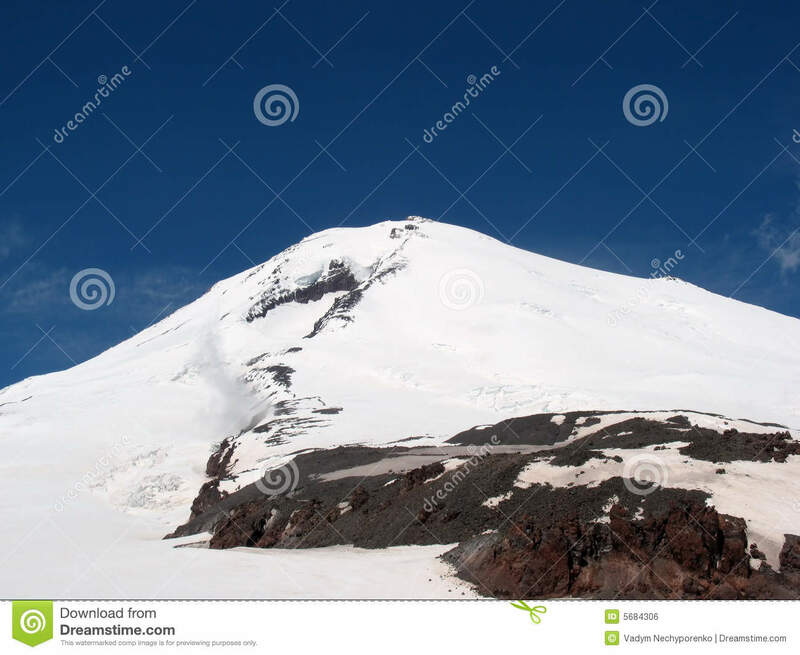 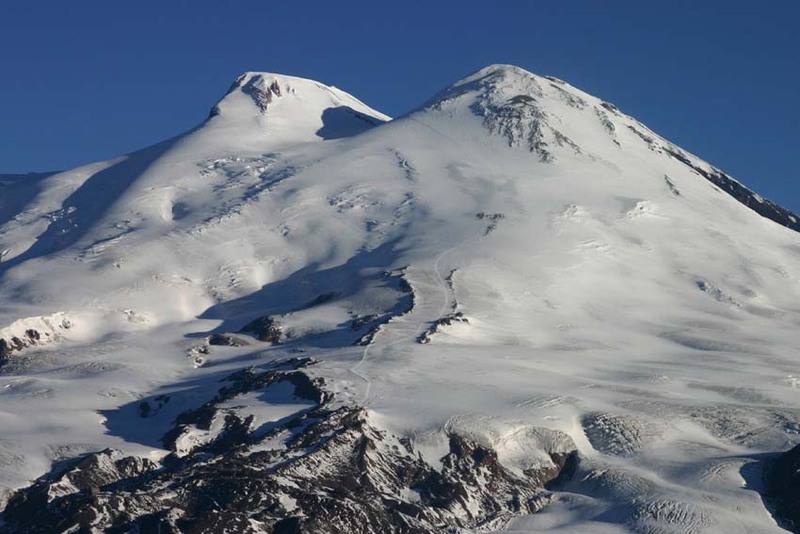 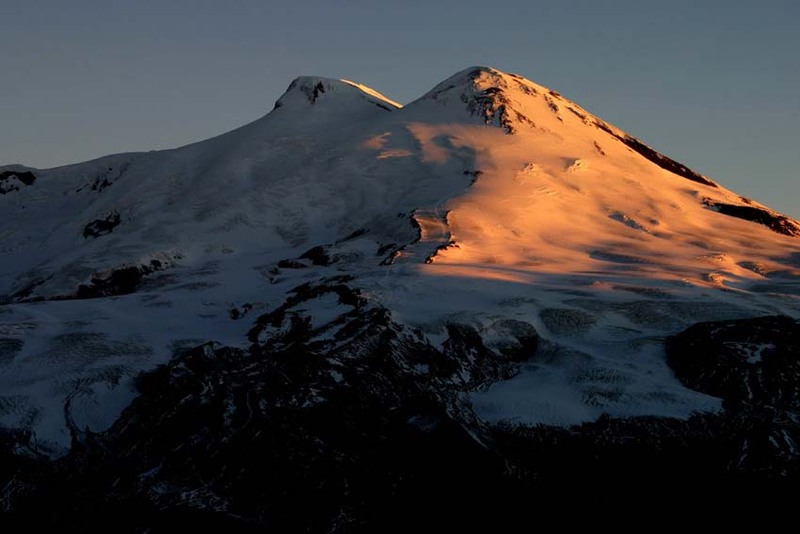 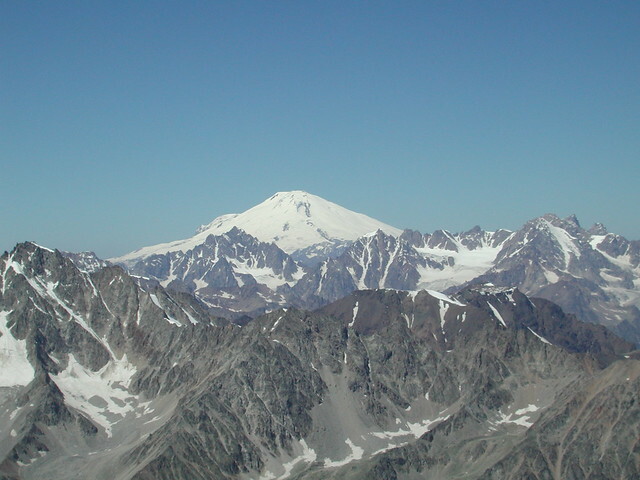 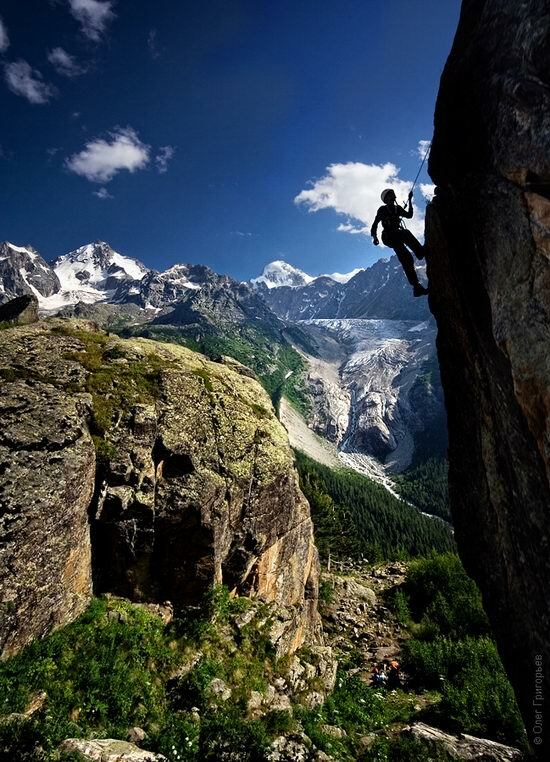 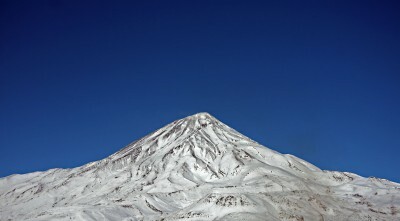 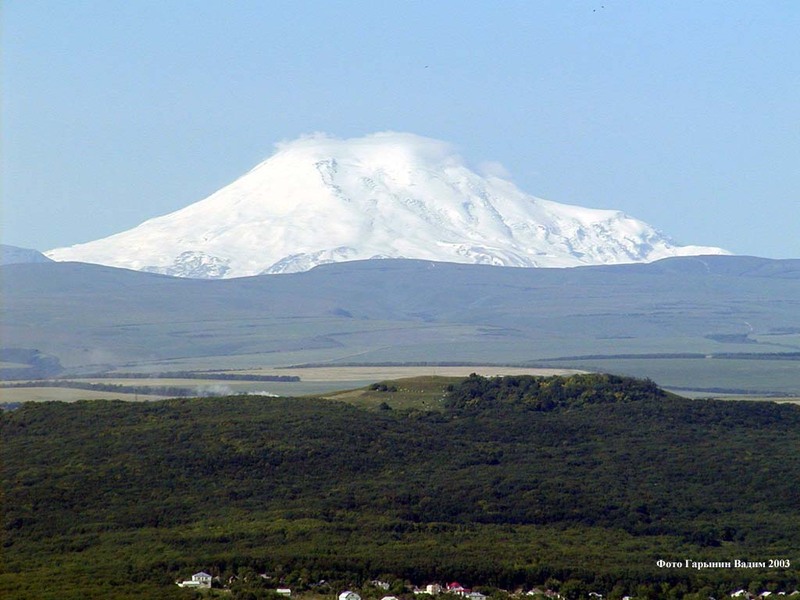 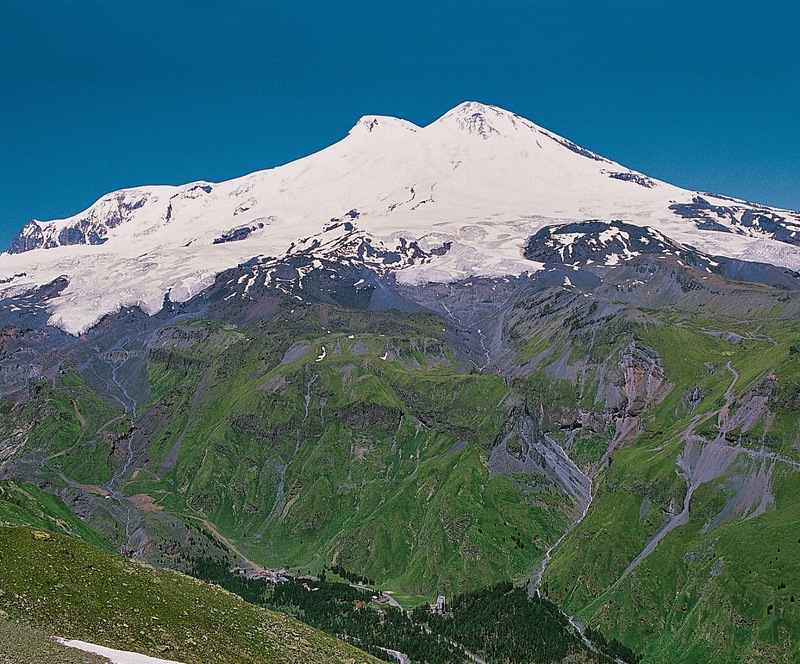 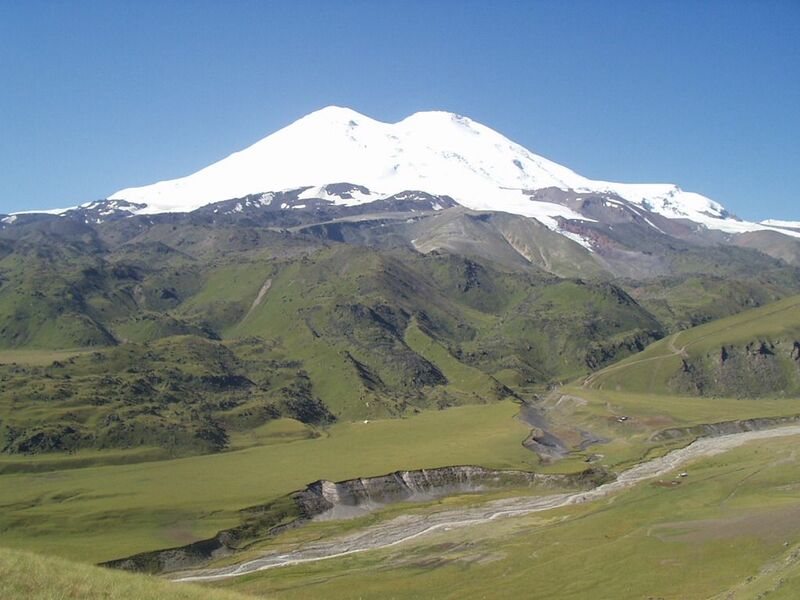 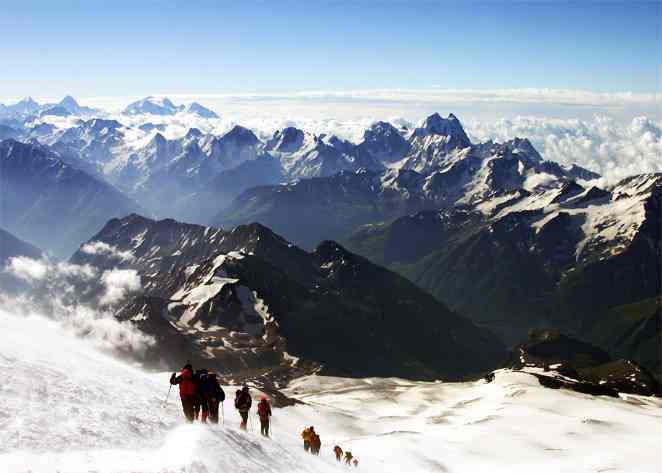 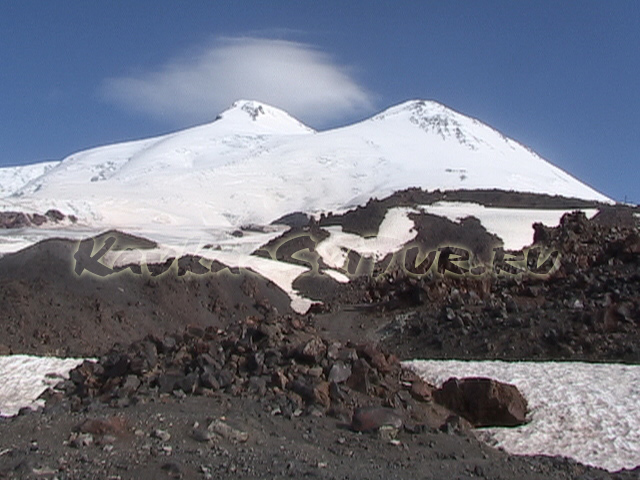 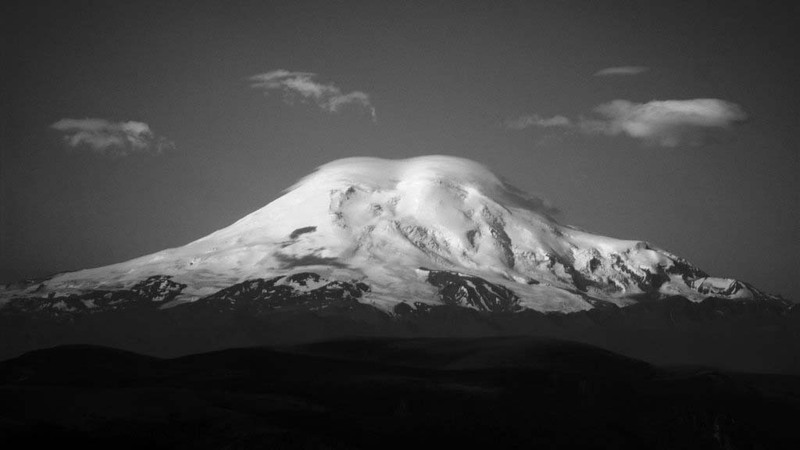 Mount Elbrus (Russian: Эльбру́с, tr. 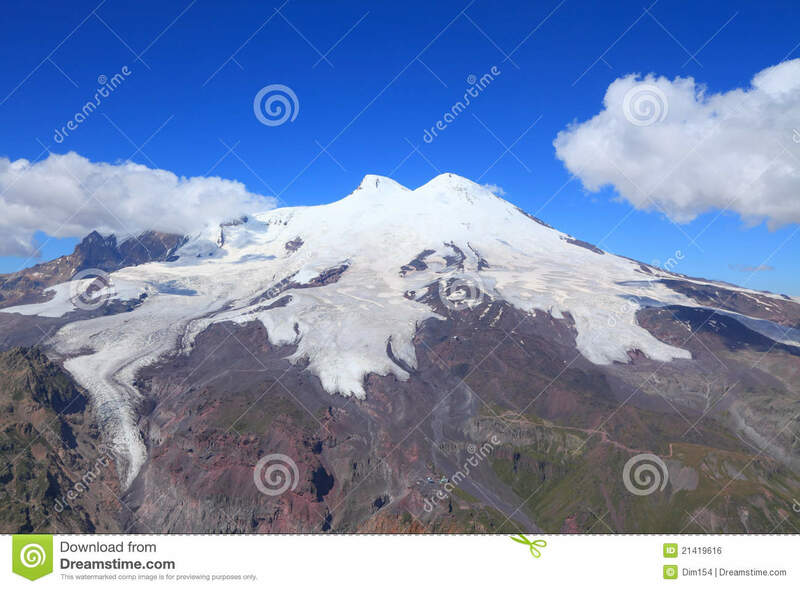 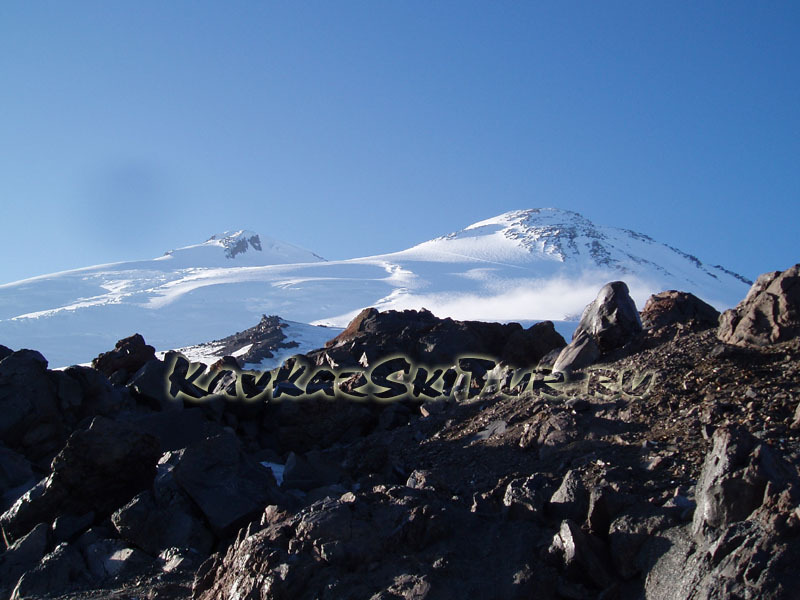 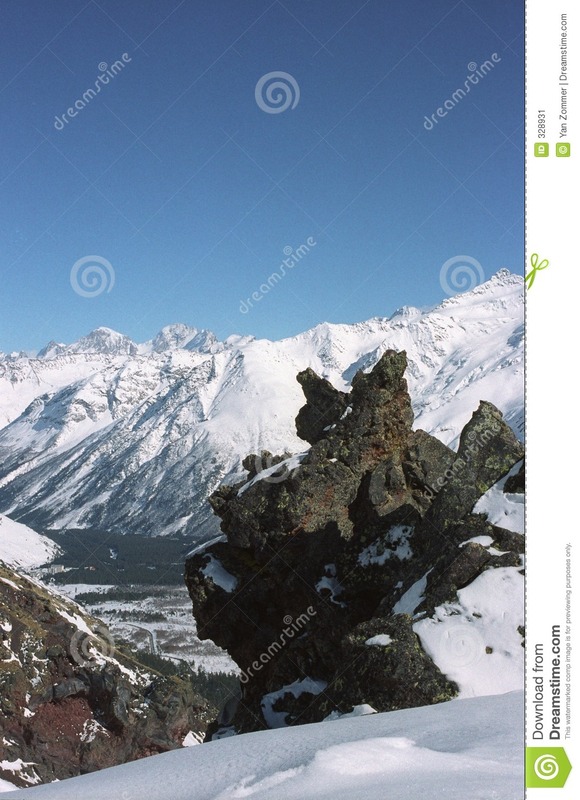 Elbrus, IPA: [ɪlʲˈbrus]; Karachay-Balkar: Минги тау, Miñi taw or Mın̨i taw IPA: [mɪˈŋːi taw]; Kabardian: Ӏуащхьэмахуэ, ’Wāśhamāxwa or Ꜧuas̨hemaxue, IPA: [ʔʷaːɕħamaːxʷa]; Adyghe: Ӏуащхьэмафэ, ’Wāśhamāfa or Ꜧuas̨hemafe, IPA: [ʔʷaːɕħamaːfa]; Hakuchi: Къӏуащхьэмафэ, Qʼuas̨hemafe, IPA: [qʷʼaːɕħamaːfa];) is a dormant volcano in the Caucasus Mountains in Southern Russia, near the border with Georgia. 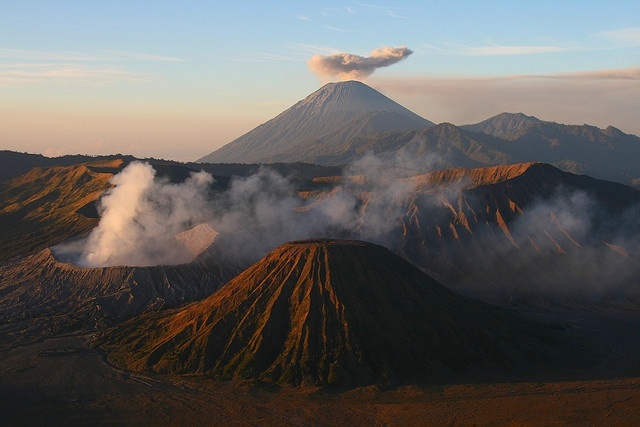 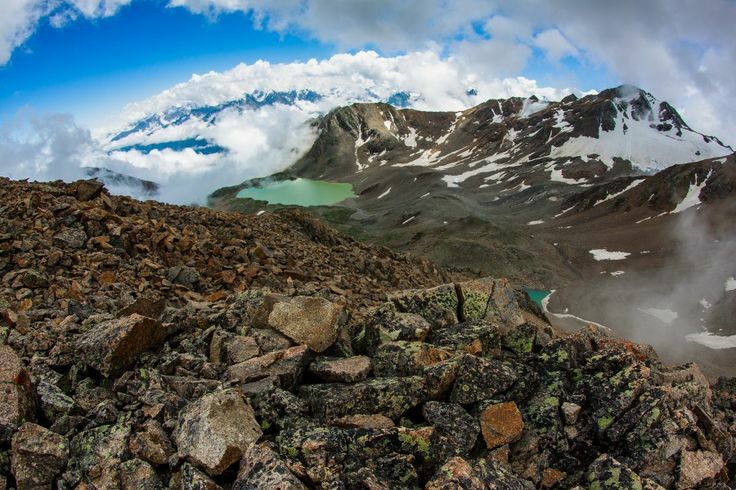 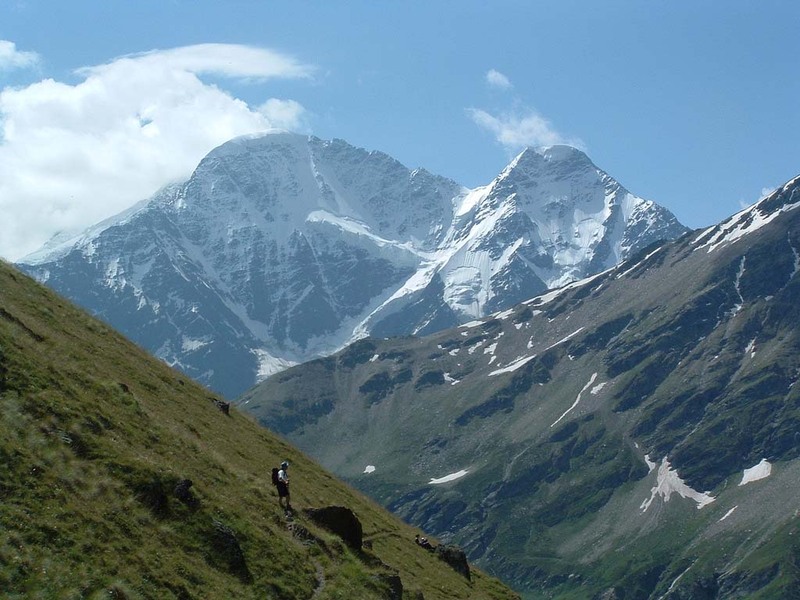 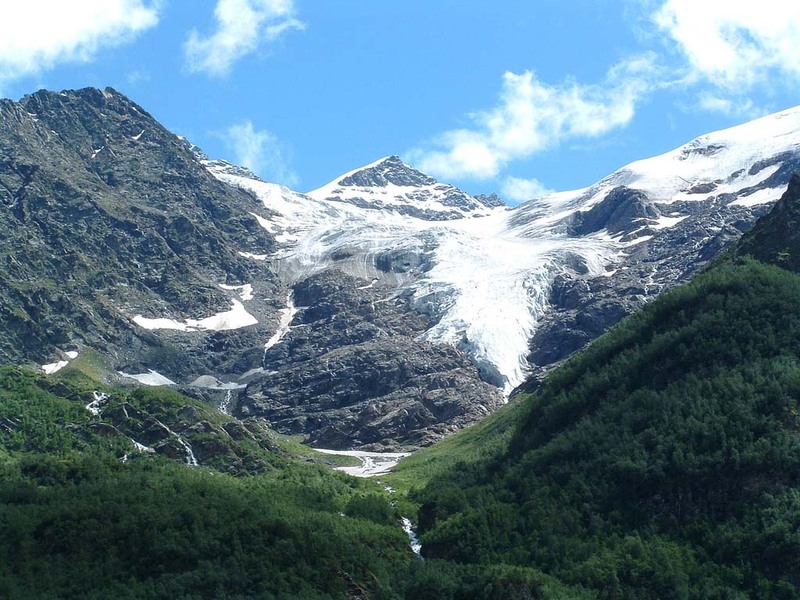 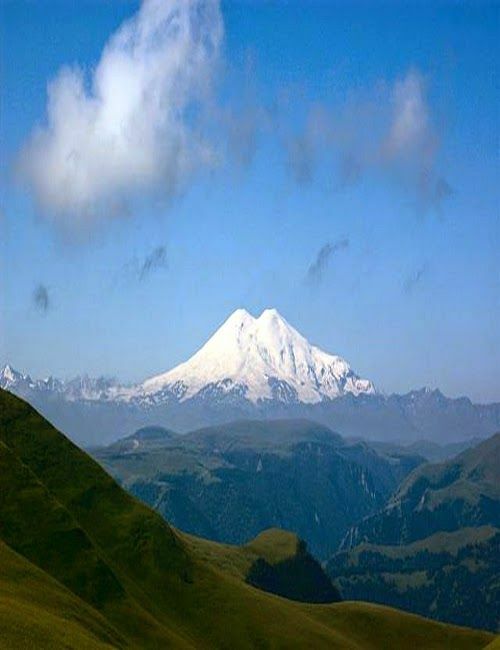 It could be considered the highest mountain in Europe, notwithstanding that Caucasus mountains are at the intersection of Europe and Asia, and it is the tenth most prominent peak in the world.